A playbook presentation is an excellent training tool for your players. 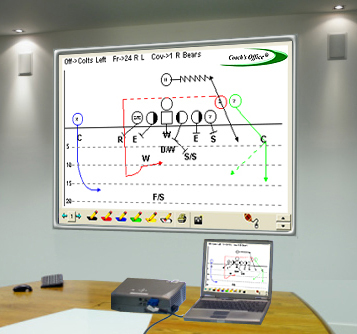 Simply create a presentation in Coach’s Office playbook and display it on a screen or overhead projector. Use a telestrator-like chalk tool to draw on the plays – in color. You can make notes, draw over routes, and point out key aspects of the play. 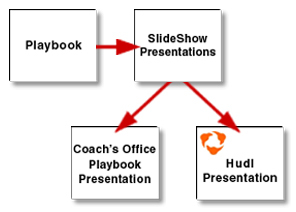 The slideshow and playbook work together, so they can offer multiple presentation solutions for training players and speaking engagements. For other solutions, the slideshow can save pages and plays as images to use with other applications. The slideshow (add-on) ACI feature in the playbook can save entire pages and individual plays as images in a format to upload to Hudl Gold or Platinum. It is easy to create a playbook presentation. 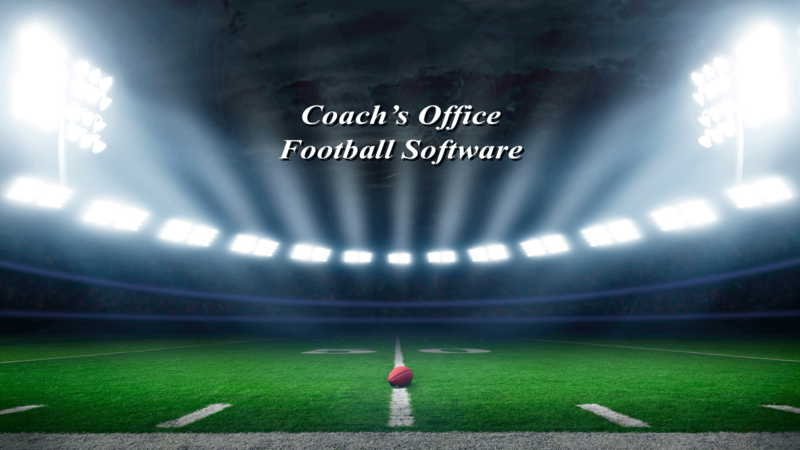 In the playbook, add a presentation chapter, add pages, and put in the formations and plays. Then open the slideshow and choose the presentation chapter from the playbook table of contents. That’s it!